A trip to Disneyland Resort holds a special kind of magic for all of us, whether you are seeking some thrills on Matterhorn Bobsleds or looking to experience history at Great Moments with Mr. Lincoln. But, as a busy preschooler, there is a special kind of magic to explore. As moms to some adorable preschoolers, Disney Parks Moms Panelists Linda M. and Anabel M. have some insights on their kiddos’ favorite Disneyland Resort attractions. 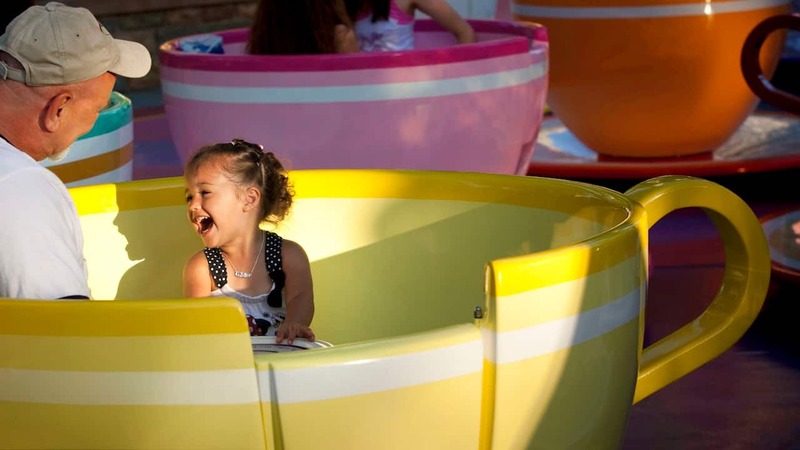 Spending some time in Mickey’s Toontown is a must, and classic attractions like Dumbo the Flying Elephant, Mad Tea Party teacups and King Arthur Carrousel are always a big hit! Linda M.’s preschool daughter could spend countless hours on “it’s a small world.” She wants to ride again and again, searching for her favorite Disney characters in their respective countries. What else is there to do with your little one, you might ask? A great deal more! Anabel has some entertaining ideas for other attractions your preschooler might enjoy. She finds Pirates of the Caribbean to be a perfect mix of thrills and swashbuckling fun if your preschooler has an adventurous side. Little ones can also enjoy meeting their favorite characters throughout the parks or burn off some energy at one of the playgrounds. And if they need a nap during all the fun, Anabel M. recommends the area just outside the Baby Care Center at the end of Main Street, U.S.A., or next to the Haunted Mansion near the Disneyland Railroad station for a good quiet spot. Both locations offer benches, shady trees and quick access to snacks. For more preschooler tips or to ask questions about planning your upcoming Disney vacation, be sure to visit DisneyParksMomsPanel.com for a personalized response from our knowledgeable panel. When we were there in May 2016, my daughter was 4 and all of these were perfect for her. The only one that she was too afraid to try was Pirates. We also went on Casey Jr. in the evening and she was just recalling how fun that was last night. The Storybook Canal was a hit too. I wanted to try that one at night but never got a chance. She enjoyed every dark ride in Fantasyland. She surprised us by going on Mickey’s Fun Wheel and Radiator Spring Racers a couple of times too but that was about as thrilling as it got for her in DCA. She loved the Ariel ride and Jumpin’ Jellyfish. Soarin’ was a good speed for her as well. Another highlight for her were the shows- she loved the Royal Theatre productions of Tangled and Beauty and the Beast. She also loved Mickey and the Magical Map. The enjoyed the parade/fireworks and World of Color as well.